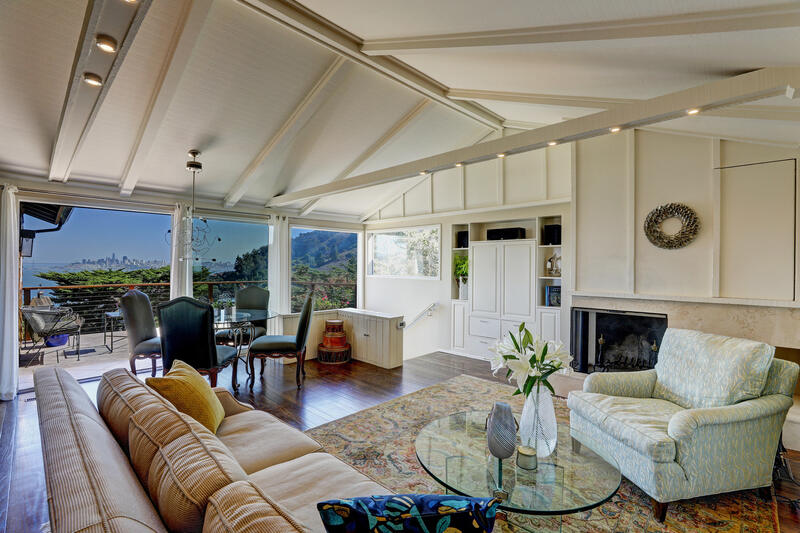 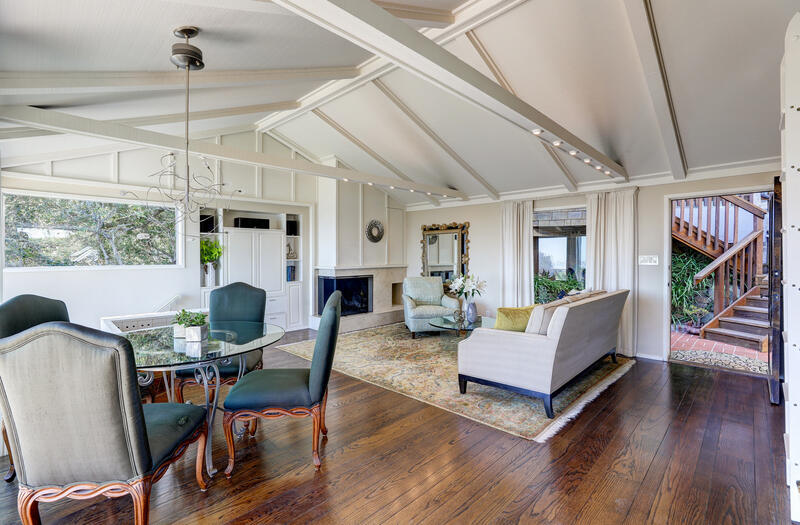 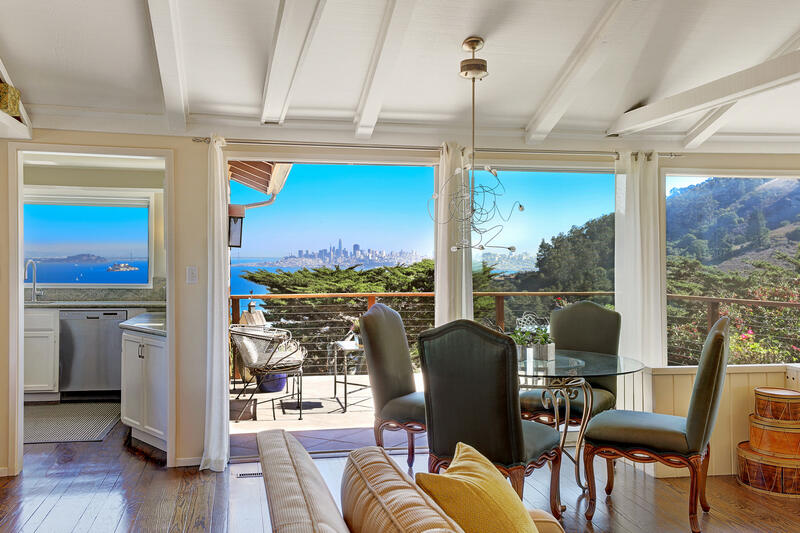 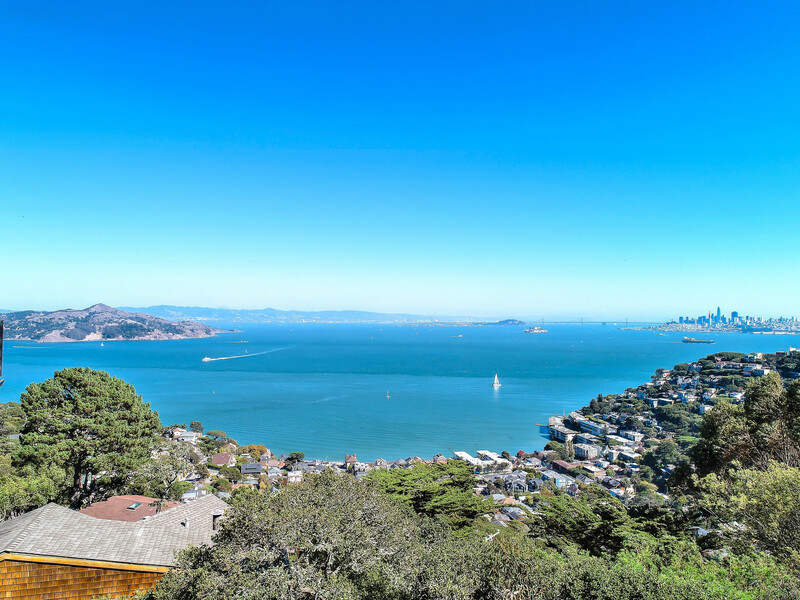 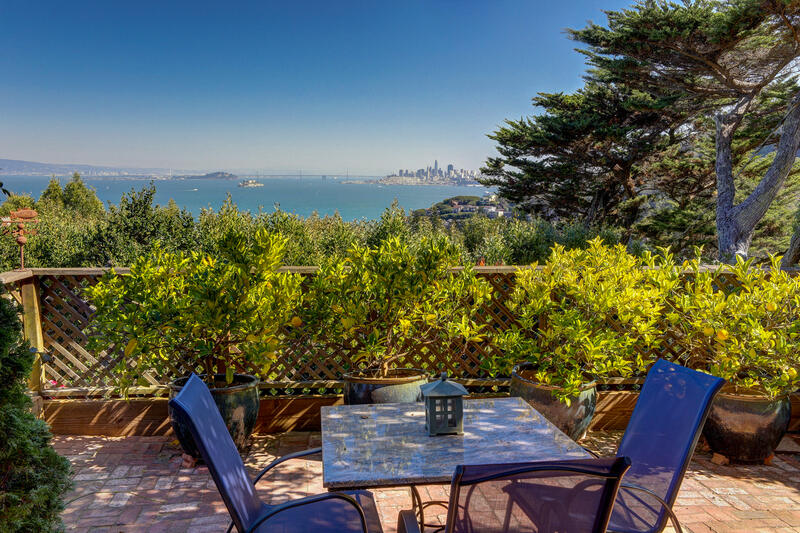 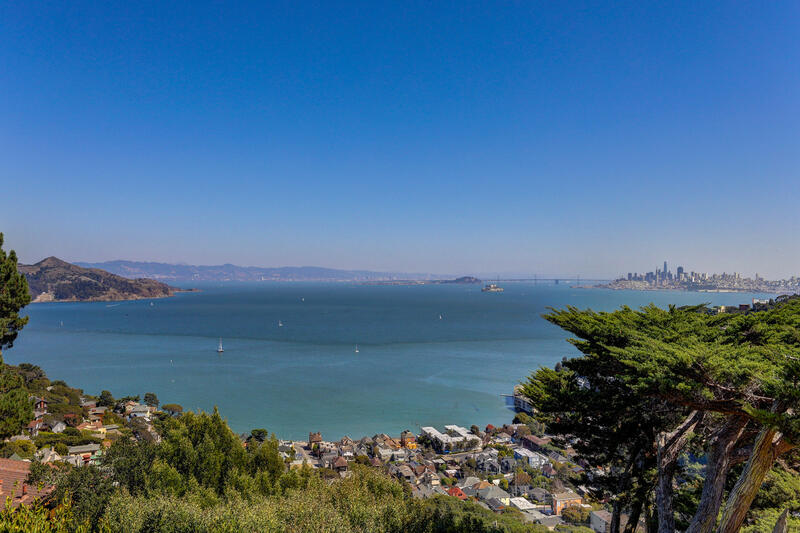 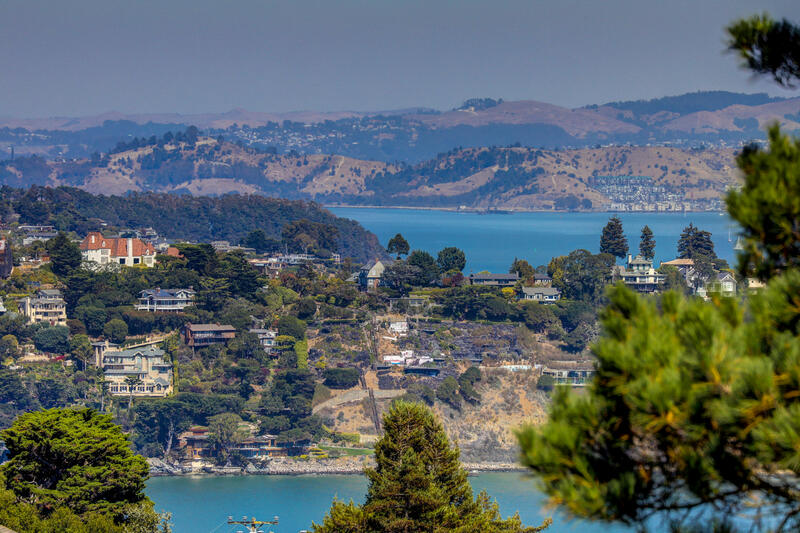 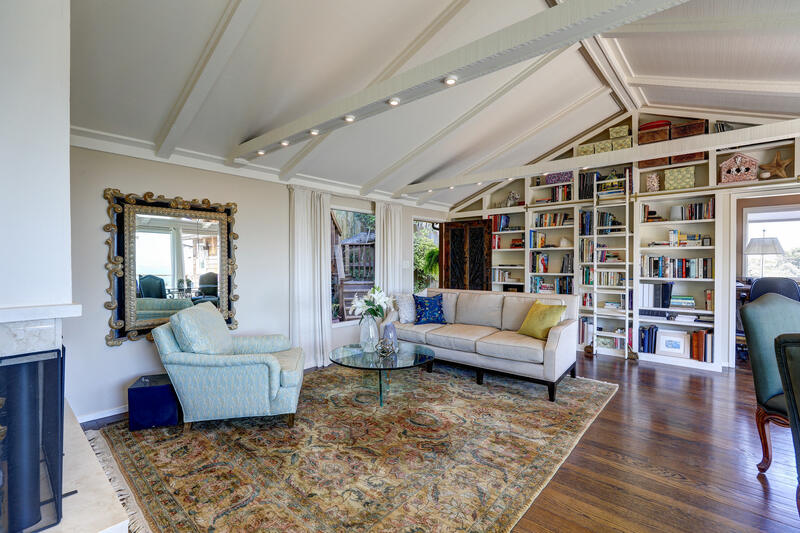 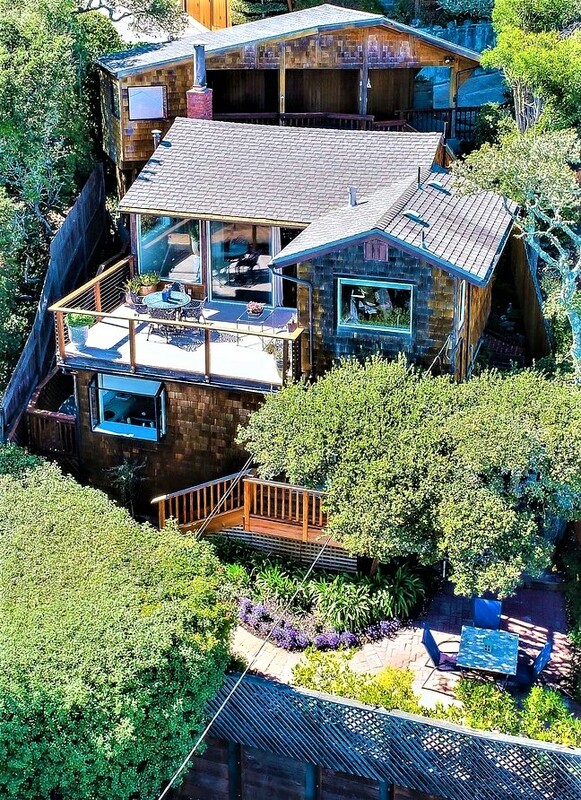 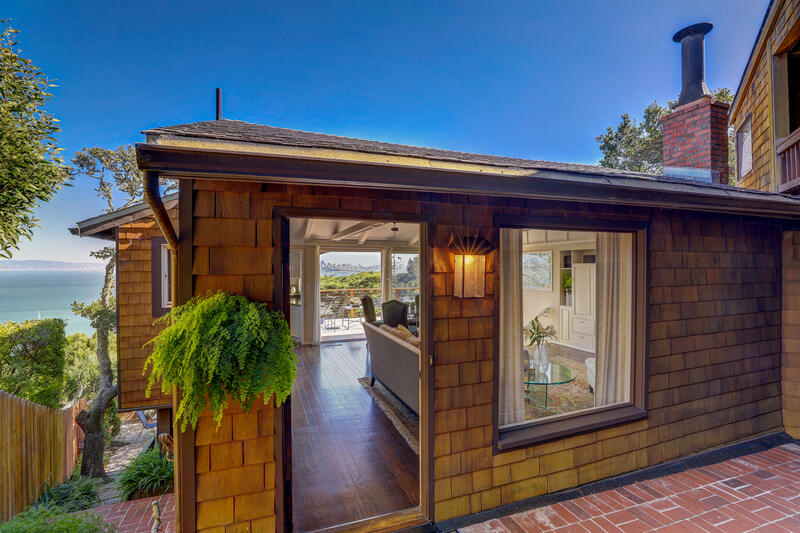 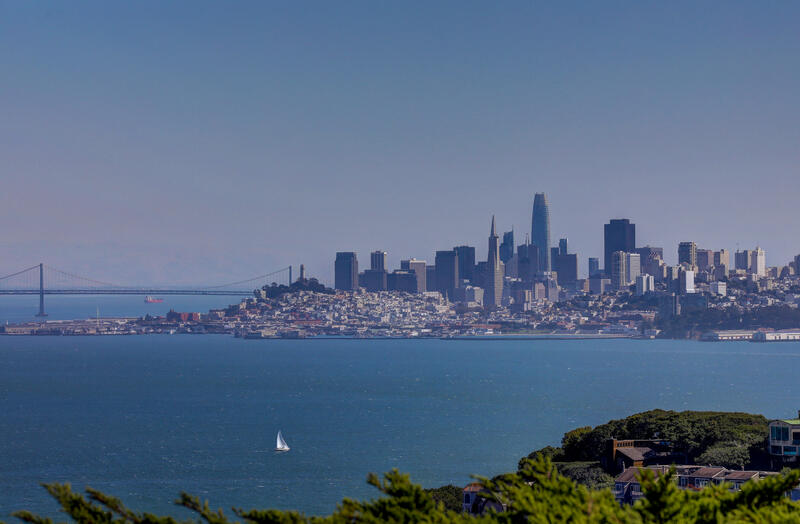 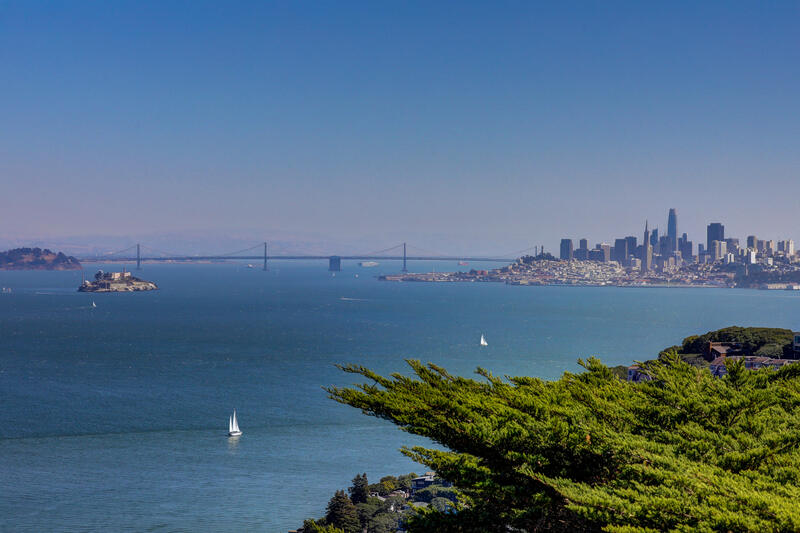 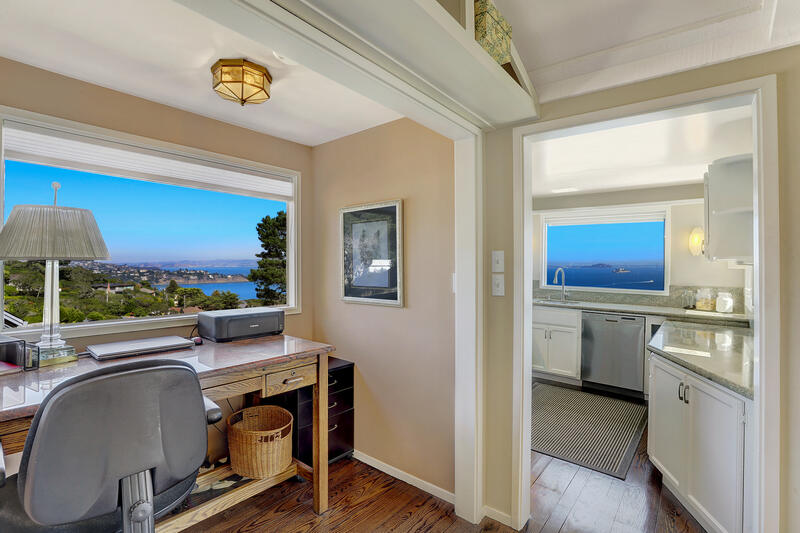 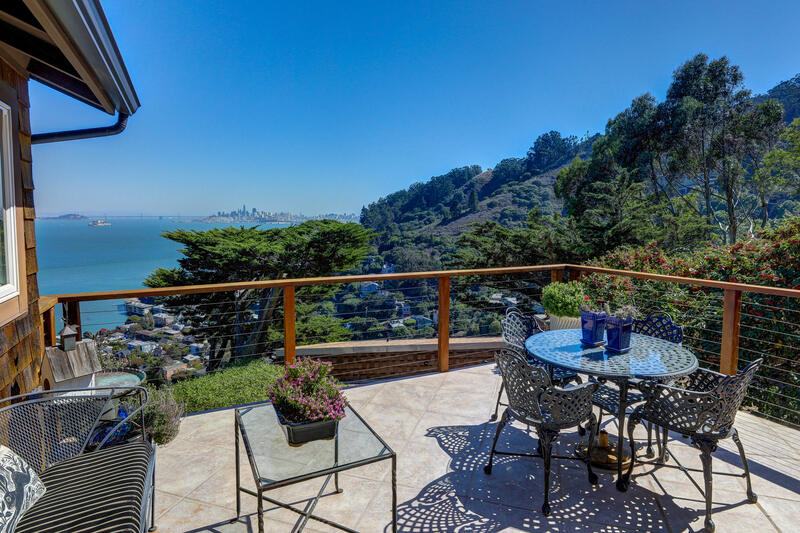 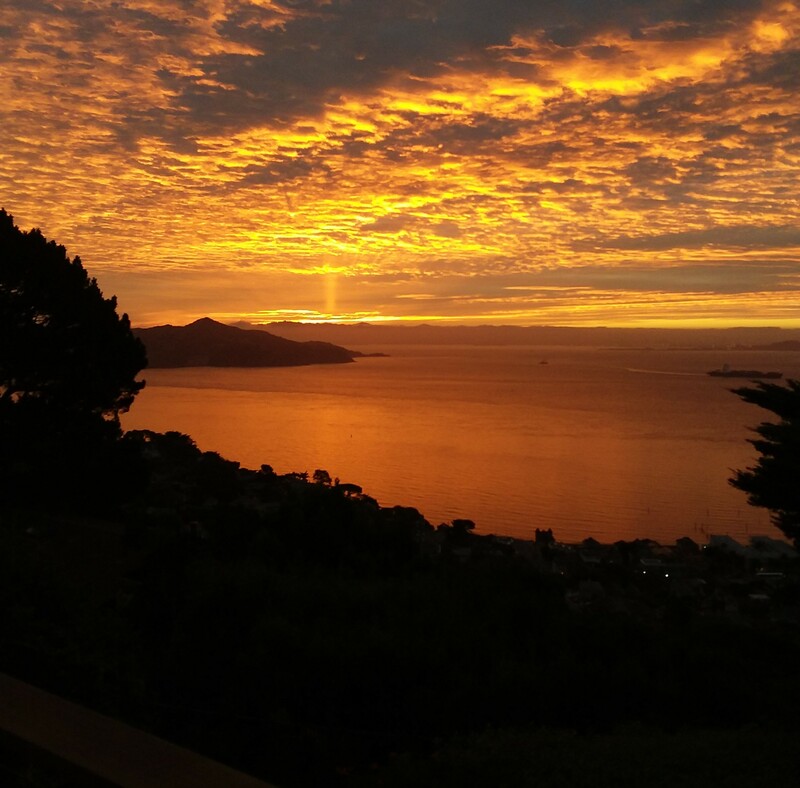 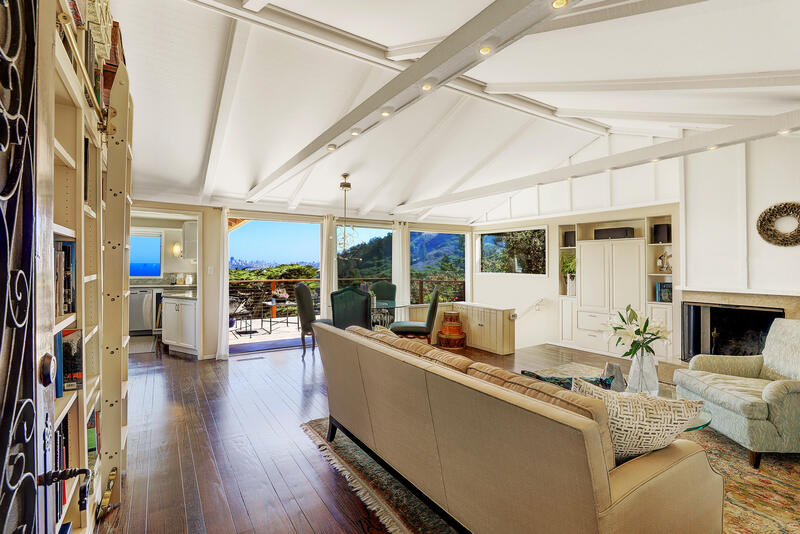 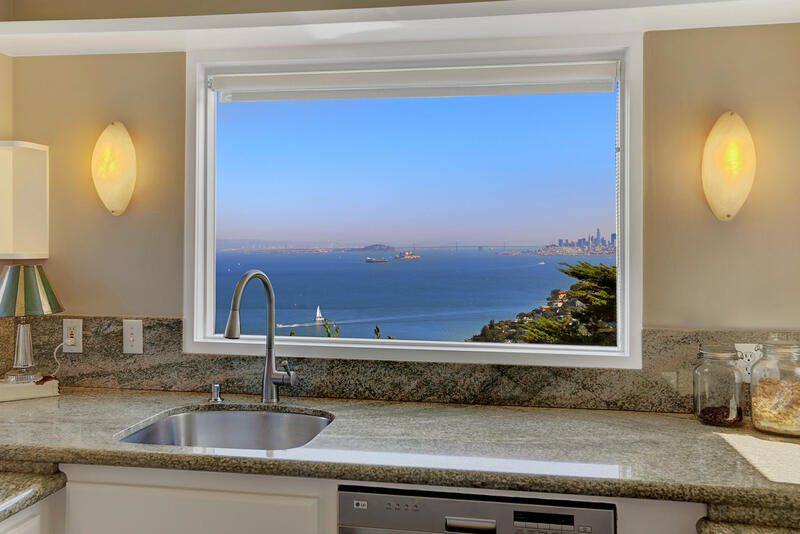 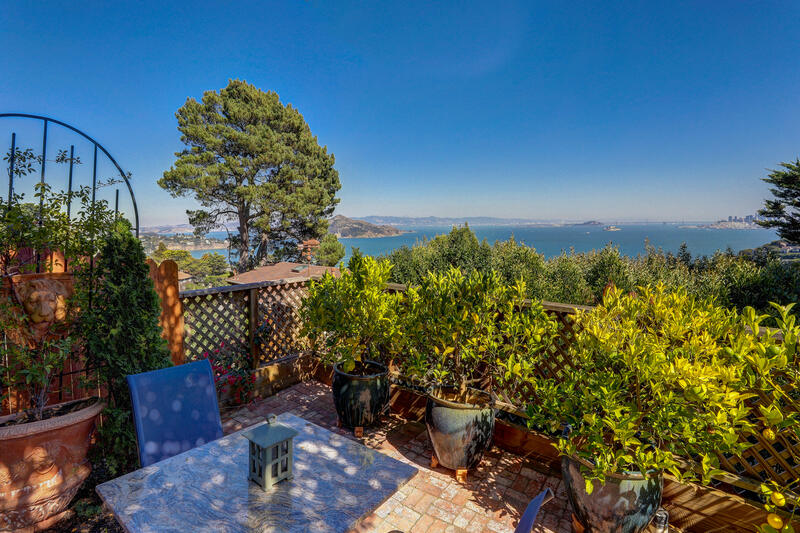 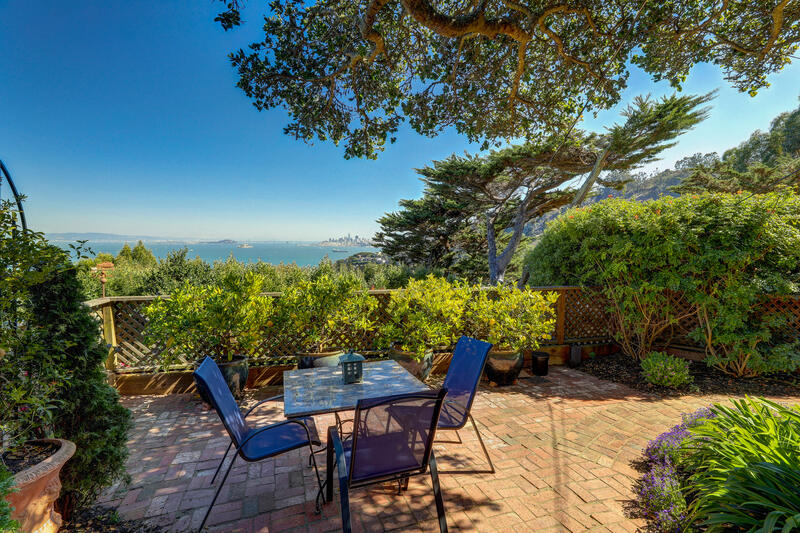 Nestled on a lush south facing hillside, this light-filled contemporary home with extraordinary panoramic San Francisco, Bay, Alcatraz and Angel Island vistas has a great room that opens to an expansive view terrace, easy indoor/outdoor living with character and charm. 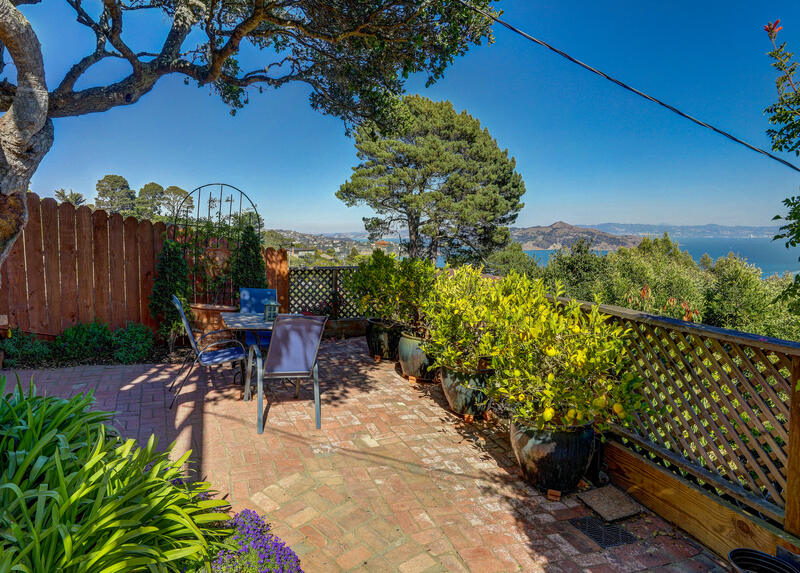 This rare single-family home, in a private neighborhood is just minutes to downtown, public transportation, SFO Airporter and the freeway. 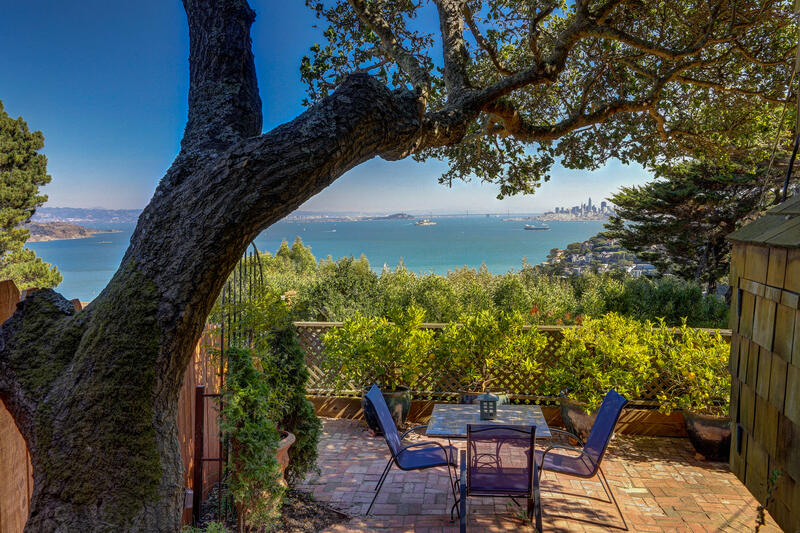 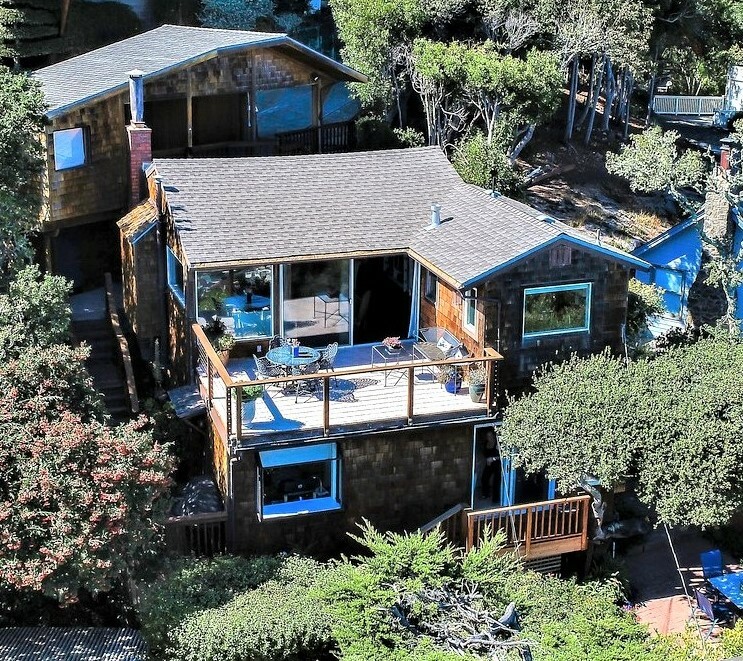 Only 3 owners of this gem property in over 50 years! 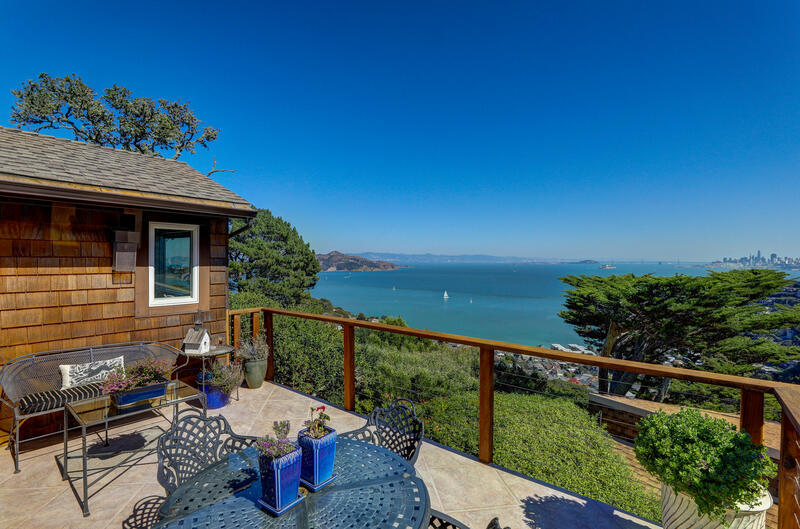 Come live your best life at 43 Cable Roadway! 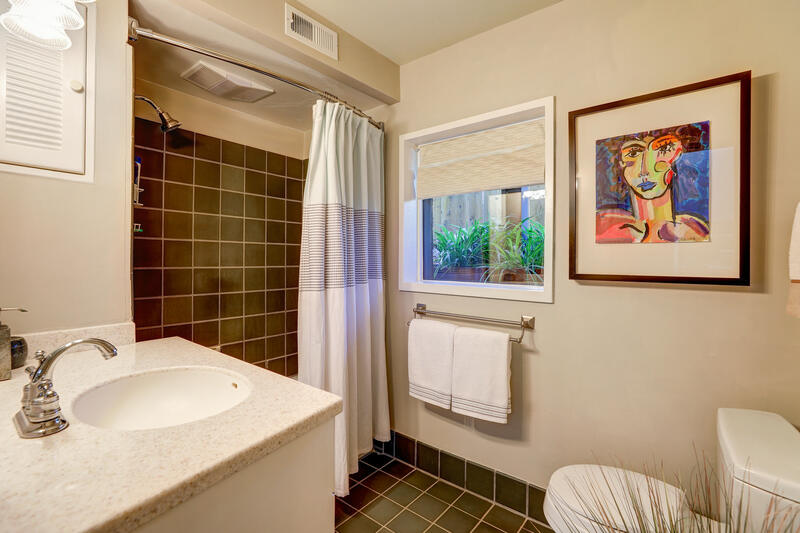 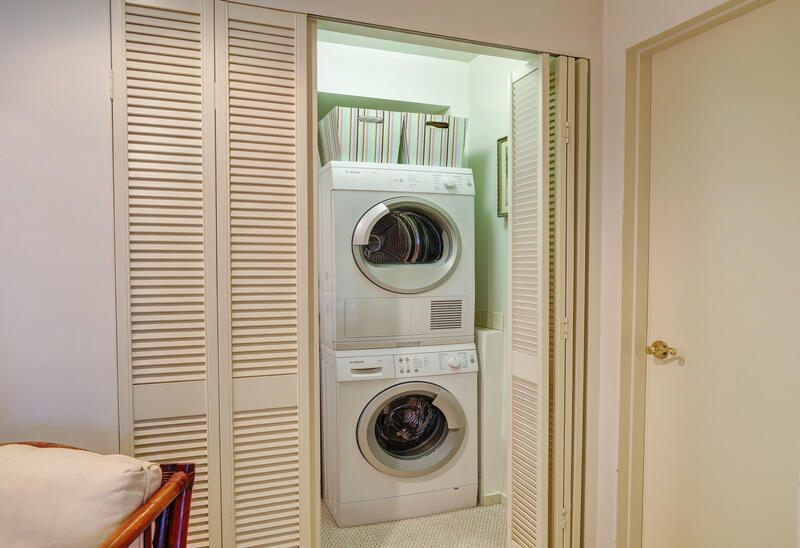 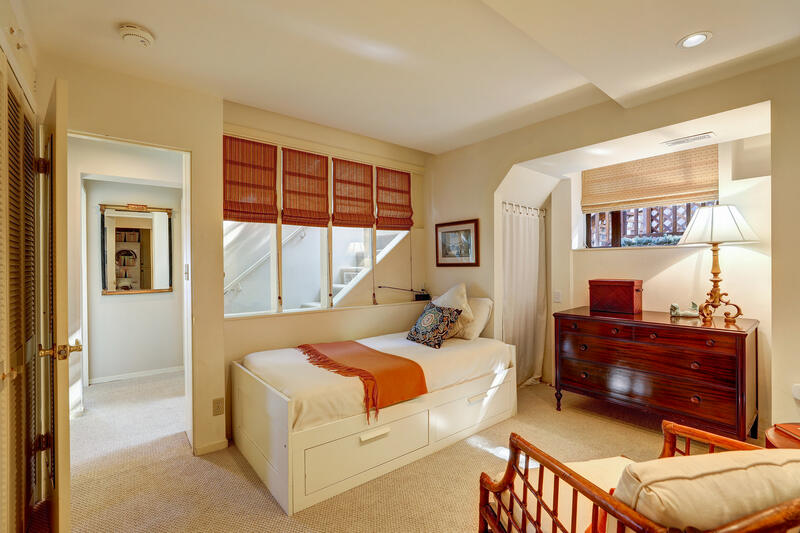 Lower Level: Three bedrooms (two that open to private view decks) with two full bathrooms and laundry closet. 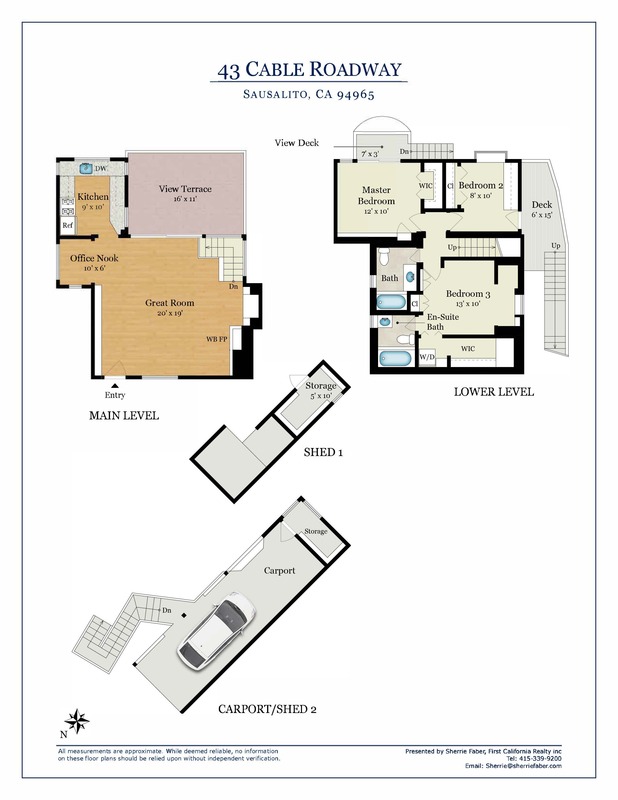 Great open floor plan with indoor/outdoor flow to view terrace(s) and garden. 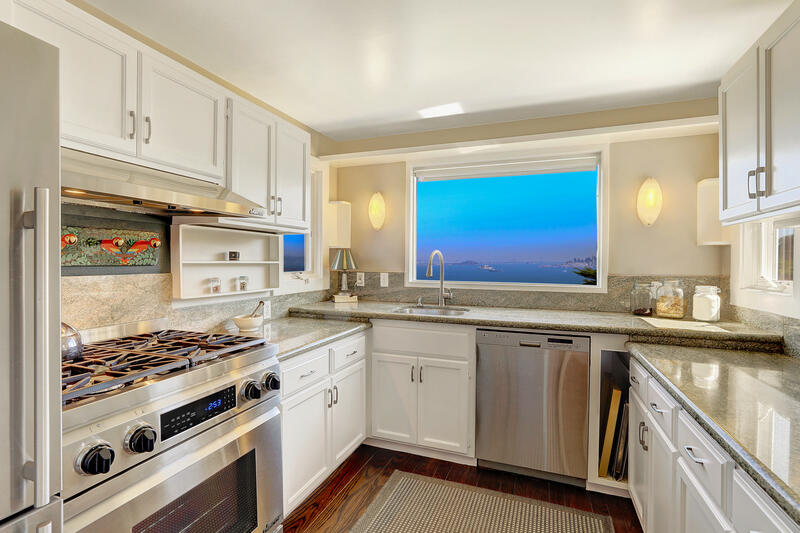 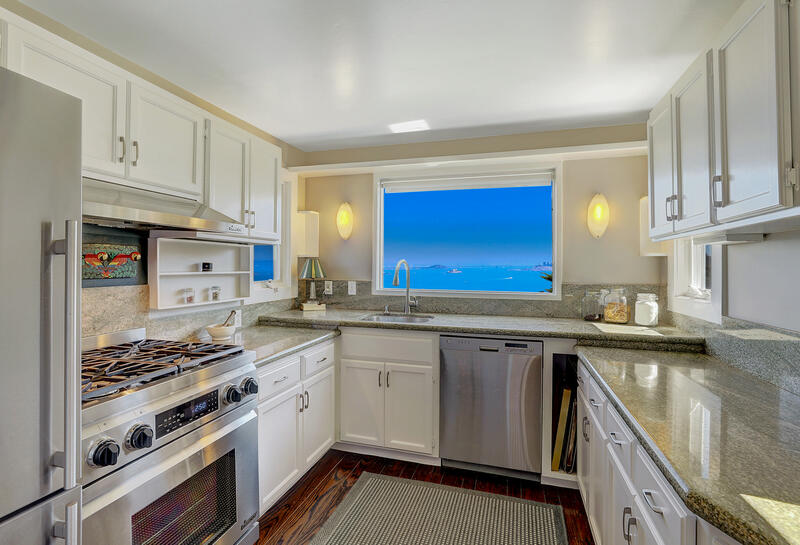 The updated kitchen has stainless appliances that include a four burner Dacor gas range/oven and multiple view windows. 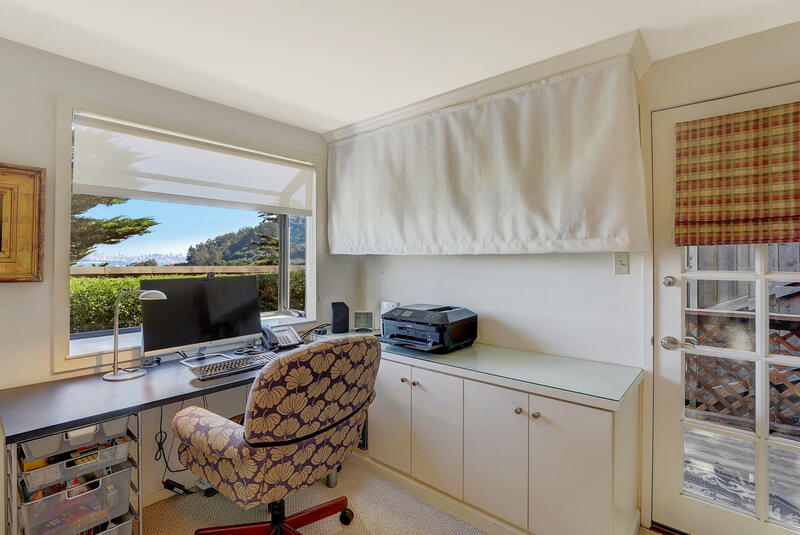 Disclosures are available upon request and can be sent electronically. 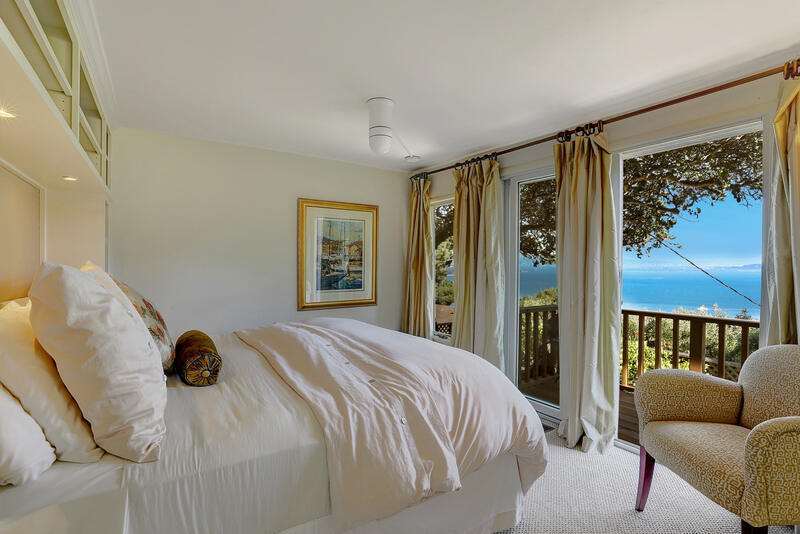 Please do not disturb the Owners. 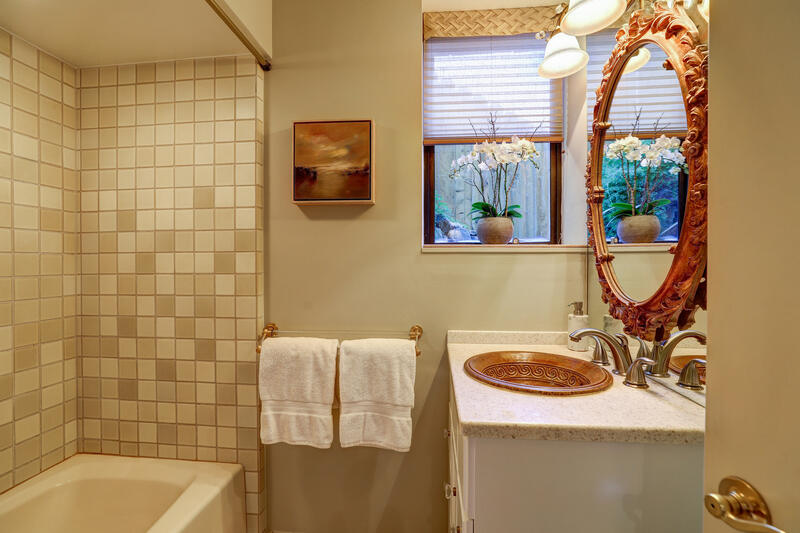 10:30 a.m. – 2:30 p.m. 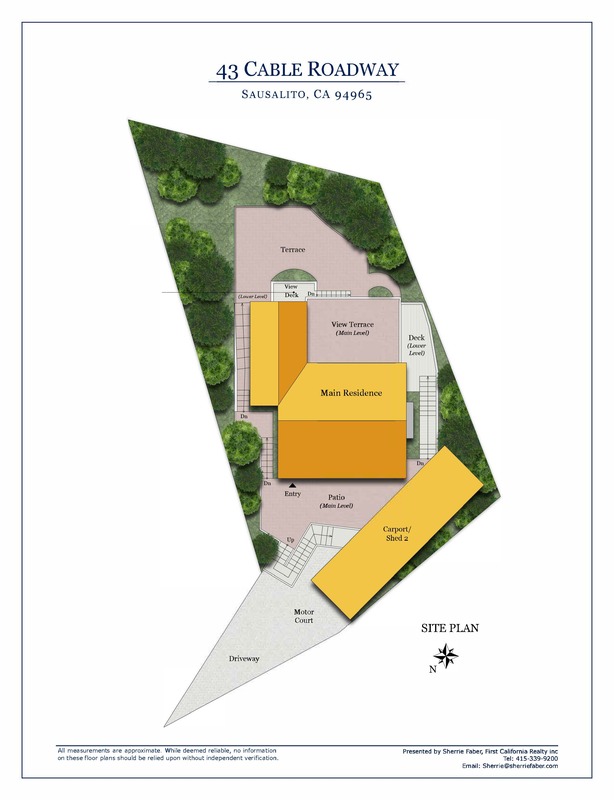 Catered by Kitti’s Place – Please park on Prospect. 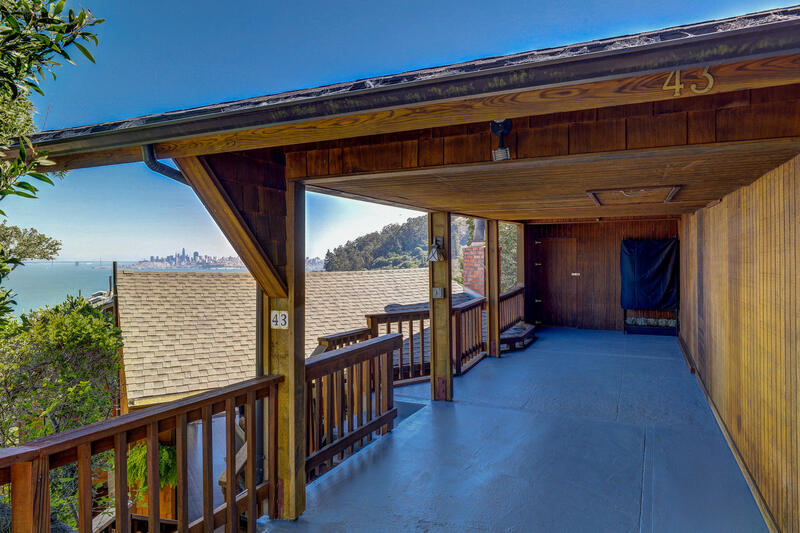 Shuttle available.